Welcome to the first post on our new blog. 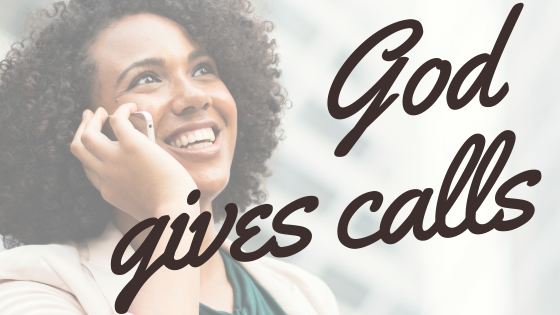 One of my goals for Women in Youth Ministry is that we can have a place for women to share their call stories, especially for those women still considering their calls. When I recieved my call to ministry, I was unaware that women could even do ministry. However, the people around me — Conservative, good people — made it clear that God had a story for me that was outside of the norm. And as I’ve shared my story with women, it has brought confidence to both sides of it: confidence that I’m doing what God has called me to, and confidence to those who hear it that God has plans for us too. My parents were never all that interested in church. When a family friend brought me to church at 5 years old, I fell in love. I loved the idea of Jesus, I loved playing roles in the children’s pageants, and I loved Sunday school. I loved church so much, that the church bus would come and pick me up each Sunday from the time I was 5 through 18 years old. Can you imagine? A 5 year old choosing to go to church all by herself. That was me, though. I loved it. My home wasn’t perfect, in fact, you could say that I grew up “at-risk.” My parents were addicts, my home was broken by a difficult divorce, and I grew up in an area where diversity and inclusion were held in tension. At 14, I began to take on the responsibilities for my little sister. It was also around this time that my church split in half. Our senior pastor told our church that we needed to look more like our community; we were commuting in affluent white people, when our community was primarily urban blacks. Our church took issue with this, especially families of youth. Our youth pastor left, and I was the only youth left. I had nowhere to go, and I wasn’t sure I wanted to leave anyway; this church took me in and I felt indebted to it. We hired a new youth pastor, and he and his wife groomed me to love ministry. In no time our youth group exploded, and I began to lead things both in and outside of my comfort zone: worship teams, ushering, Sunday school, VBS, praise dancing, and more. In fact, our church allowed women to begin ushering because my youth pastor wanted our students to. The church began to make allowances for women in leadership because they wanted our students to grow in leadership. At 16, my youth pastor would suggest that I go into ministry. I thought that was hilarious — my life was hard and I didn’t think women could do that sort of thing. But then, there were more random people from the church who would come up to me and affirm the work I was doing in the church. Mind you: I grew up in a conservative Southern Baptist church. For people to affirm the leadership of a woman was pretty strange. And yet, it was happening. After a long fight with the Lord, I heard God say “this is what you’re meant to be.” And so — at 20 years old, I took my first church job…in another Southern Baptist Church. The pastor wanted to hire a female, because he believed that the youth group could be built on one of the female students. And so, he made allowances for me to lead. I had never even met another female youth pastor, and yet, I found myself being one. It would be several more years until I would meet one, and more until I heard a female preach. I am thankful for these churches, and the way that they made allowances for me to lead, in a culture where women typically couldn’t. In fact, I believe that fundamentalism saved my life… I know it to be true. I needed the structure and I needed the safety. For these churches to put themselves out there because they believed I had something is something I will never forget. But today: I refuse to be a part of a culture that makes allowances. I want to be a part of churches and systems that see women as gifted and equal partners in ministry. I have even seen how I might have qualities as a woman that make me more gifted, not the next best thing. And as I look forward to what this site can do for women in ministry, I want them to know that God doesn’t make allowances. He gives calls. And while some women may have found themselves in positions they attribute to luck or fortune or the giving of allowances, God sees it as opportunity — opportunity to do a new and big thing for the Kingdom. Thank you, Lord, for the call.